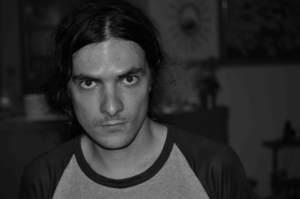 Preface by Georgi Medarov: After months, if not years, of relative quiescence, progressive politics in Bulgaria has been thrust into national visibility by a new campaign for tax justice supported by a wide coalition of activists, NGOs, unions and small center-left and left parties. At this stage, its main activity has been focused on generating public debate and collecting signatures, which will be submitted to Parliament in a month, when the new budget is being debated. The campaign’s demands are far from radical, but despite their mainstream character, or perhaps precisely because of it, they has already managed to expose some of the central contradictions of the neoliberal regime. The campaign first (and major) demand is the introduction of tax deduction on minimum income, meaning the first 460 BGN (about 230 EUR), or the current minimum wage, not to be taxed, for all working people. Its second demand is lower VAT for necessities (medicine, books, food, water, etc.). In Bulgaria a flat income tax of 10 % was introduced 10 years ago by a government led by the misnamed Socialist Party, and the tax deduction of minimum income was removed. VAT is 20 % for all consumption goods. Additionally corporate tax is also set at a flat rate of 10 %. In fact, having no tax deduction for minimum income, such low flat income and corporate tax, as well as the lack of differentiation in VAT for basic goods, make the Bulgarian tax system radical, if not experimental. The introduction of a flat tax rate, the government and neoliberals asserted, would attract FDIs and provide a strong incentive for businesses not to hide taxes. Ten years later, on the contrary, FDI levels have stagnated and studies have talked about a third of the economy being grey. Additionally, social inequalities and poverty levels have risen. 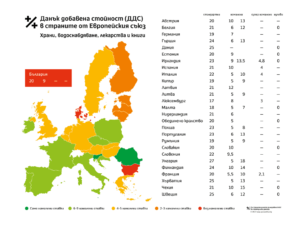 Bulgaria has topped the charts on risk of social exclusion within the EU, and despite occasional competition from Romania, is generally regarded as “the poorest member of the EU”. The rise in social injustice is partly an effect of the current tax system, which presents itself as being “flat”, but in practice is regressive as it shifts the tax burden towards low income and working people. If most tax revenues (about half) of the Bulgarian state derive from taxing consumption, the EU average is about a third. Working people and low-income groups generally do not have savings and are even indebted, spending more than what they receive, thus paying taxes above their income. In other words, behind a veneer of claims of “flatness,” lies a system that taxes business and wealthy individuals disproportionally less than the rest. Moreover, the constant cuts in welfare are accompanied by all kinds of programs to “stimulate growth” and “entrepreneurship” or, in other words, for upward redistribution of national wealth from working and low-income people towards elites. This is precisely where the campaign is most effective, namely in exposing the essentially class nature of the current “flat” tax regime, that presents as taxing everyone the same, while in practice takes from the poor and gives to the rich. In addition, with its demands for “Europeanization” and “lowering taxes,” i.e. their own favorite slogans, the campaign has confused the dominant neoliberal experts, who have reacted either with silence or largely illogical lines of attack. The following text comes from the Bulgarian petition, which you can sign here: http://spravedliva.bg/petitsia. A tax system embodies the prevailing values in a society. No just social model is possible together with an unjust tax system. А people can enjoy welfare and can flourish only when the “big” and the “small” among them are equally responsible towards their tax obligations. The Bulgarian tax system today is grossly distorted. The tax burden in Bulgaria weighs on the shoulders of modest Bulgarian families, while the companies and the wealthiest are taking advantage of numerous written and unwritten loopholes in the tax laws. 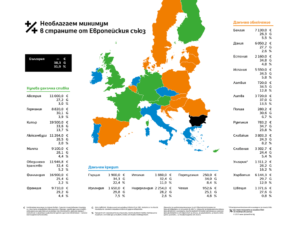 The comparison with other EU member states demonstrates that the tax system in Bulgaria is not European. Direct taxes are low, while indirect, ‘invisible’, taxation is the highest in Europe. In 2015, 50.3 % of tax revenues in Bulgaria came from taxes levied on consumer products, whereas their EU average is only 28%. The Bulgarian treasury gets filled by taxing bread, medicines, fuels, and books. These are the goods bought by ordinary people to sustain their families. In contrast to the other European countries, in Bulgaria there are no reduced VAT rates for essential goods. For the Bulgarian treasury, it is irrelevant whether you buy a yacht or a textbook for your child: everything is taxed with 20%. Тhis indifference is just a fraction of the deep tax injustice in our country. In Bulgaria, there is no tax-free minimum income. In contrast with developed Western democracies, in Bulgaria the progressive income tax was swapped with a ‘flat’ one. Even worse is the fact that there is no tax-free minimum income. This means that hundreds of thousands of poor people struggling on a minimum wage literally have to stint their food to meet their tax obligations. Companies enjoy more a favourable standing than citizens. At the same time, thanks to the presence of maximum social security thresholds, the people with the highest salaries contribute a lower share of their income, compared to the working poor. The owners of firms are able to deduct VAT from their personal spending, e.g. by registering their personal cars as ‘company-owned’ ones. Year after year, firms with huge revenues declare accounting losses and thus do not pay corporate tax at all. At the same time, small producers are paralyzed by bureaucracy and punitive administrative checks. In addition, regulations on doing business in offshore zones have been gutted. Big business and the richest are the smallest contributors to the budget. 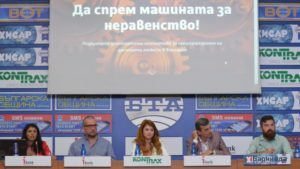 The tax strategy implemented in Bulgaria through the last decades purposefully aims to reduce the budget contribution of big business and the wealthiest to a minimum, in that way shifting the crushing burden onto the silent majority. The political parties of the status quo, without exception, played their pivotal roles in the process of this robbery. Most disgraceful is the role of those of them who pretend to be the “defenders of the oppressed and the working people”. The gap between the income of the richest and the poorest is growing. 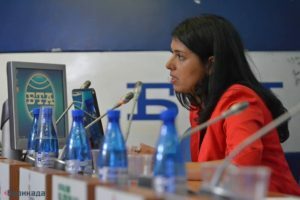 Studies show that the difference between the income of the poorest and the richest 10% of Bulgarians is already 13 times. At the same time, in the EU it is 8.5 times. In countries comparable to our own, such as the Czech Republic, Slovakia and Slovenia, it is 6 times. The irresponsible tax policy of successive Bulgarian governments has opened a gap threatening to turn into a hellish abyss for Bulgarian society and statehood. Environmentalists against the Environmen ..
Introduction of а tax-free minimum for the monthly income of individuals at least up to the minimum wage, currently BGN 460 per month. Introduction of reduced VAT rates of 9 % (equal to the rate for the tourist industry right now) for water, staple and children’s food, essential medicines, school textbooks and books. We are confident that only by restoring the balance in the tax system are welfare and flourishing in Bulgaria possible. A bold tax reform is inevitable if Bulgaria envisions for itself the future of a European democratic country!